Cities To Explore This Christmas(Abuja) - GlobeFarers | Travel Tips & Tour Bookings. ​So in the spirit of giving and doing stuff a little differently this Christmas, we are excited to be sharing with you, what cities to explore and why you should this Christmas. You can explore the city of Jos this Christmas. Here’s why you should also explore the city of Abuja this holidays. Abuja is the capital city of Nigeria, which is located in its center. Abuja officially became Nigeria’s capital on 12th December 1991, replacing Lagos, which is regarded as its commercial capital and its most populous city. Abuja’s identity is conspicuously defined by Aso Rock, a 400-metre tall monolith left by water-erosion. 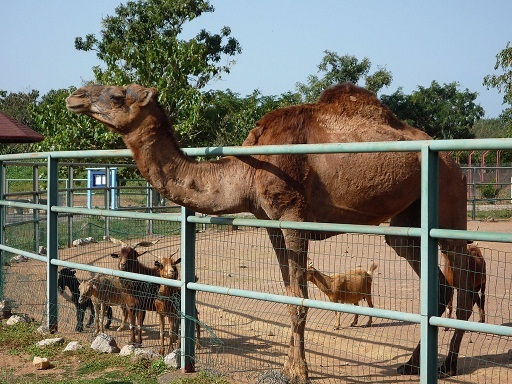 Here’s some other interesting tourist attractions in the city of Abuja. 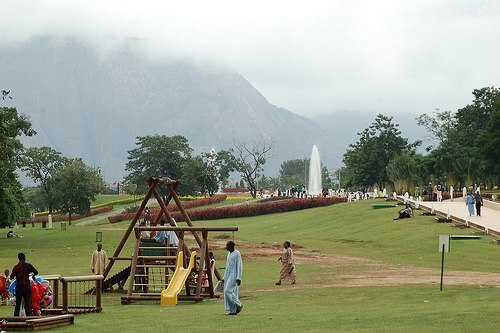 This is the largest public park in Abuja, located within the Maitama District of the city, close to the nucleus of the presidential and administrative buildings in the city. A river in its main rectilinear axis divides the park into two sides. One side of the park is dedicated to its uncontaminated nature. With a system of terraces at different levels are located Nigeria’s mountain vegetation, savanna, deciduous forest, rain forest and brushwood as well as greenhouses for butterflies and tropical birds. On the other side, corresponding to the main entrance from the road, is dedicated to the scientific knowledge of the natural environment. This part of the park has a very traditional and rigid Italian style garden layout. A rectilinear path completely paved with Roman white travertine brings the public into its green areas. A series of fountains run alongside this white path refreshing the public during the hottest days. This park, conceived and designed by the Italian architect, Manfredi Nicoletti , has quickly become one of the main attractions of the city of Abuja which brings thousands of people together every day. The park is a perfect spot to go on Sunday afternoons with the kids to play, to take a walk, walk your dog or read a book, it’s an ideal relaxation spot. Arts and Craft Village is a center of African arts and craft, which lies at the heart of the city, bordered on either sides by magnificent monuments – Shehu Musa Yar’adua Centre on the right and Silverbird Entertainment Centre on the left. 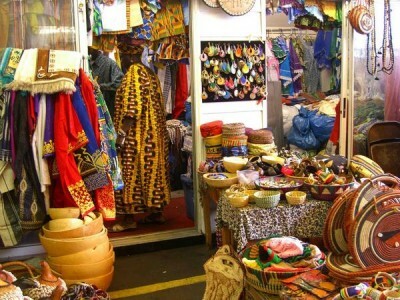 With the Sheraton Hotel as a backdrop for the Art and Craft Village, it provides you the opportunity to see and buy some of Nigeria’s art and craft works that represent the country’s culture. The shops are thatch-roofed huts with walls made from red earth (clay). From little sculpted ‘warrior and horse’ statuettes, beaded necklaces and bracelets, African traditional masks, traditional leather bags, tie & dye (Adire) clothes, you’ll find this a safe shopping spot for local arts and crafts. If you are a fan of African wooden and bronze sculptures and leather artifacts, you will love it here. Food and drink stalls are also available. The National Children’s Park and Zoo, located in Asokoro District behind the Presidential Villa,sits under the shadow of nearby Aso Rock. 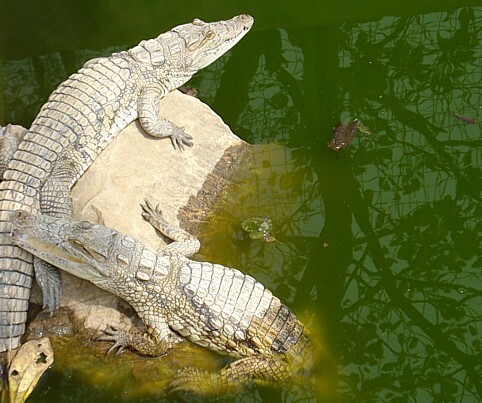 For animal lovers, there is plenty of wildlife to admire here, with attractions including camels, crocodiles, elephants, giraffes, monkeys, ostriches, tortoises, wild cats and zebras. Domestic animals are also housed in the zoo, making it a extremely attractive for younger children too. Also, playgrounds and other fun activities for kids along ‘Toddler’s Lane’ make the National Children’s Park and Zoo an ideal place to relax, pass away time on an afternoon or enjoy a picnic. The Lake Cafe is also close by, if you would require a hot snack or a freshly made milkshake. It is open from 9 am to 6 pm everyday. Entrance into the park requires a gate fee. Adjoining the mini-park located at the National Park along the Nnamdi Azikwe International Airport Expressway, Abuja is the National Arboretum. The arboretum was established to play significant roles in conservation of genetic resources for research, educational, medicinal and other scientific purposes. Comfortable concrete seats have been provided within the arboretum for visitors’ relaxation, meditation and quiet study of the environment. The purpose of the Arboretum is to maintain the forest and other plant life within it in their original natural condition. Birdwatchers can check out different species of birds within the city. You can feed the birds too. Have fun exploring the city of Abuja.